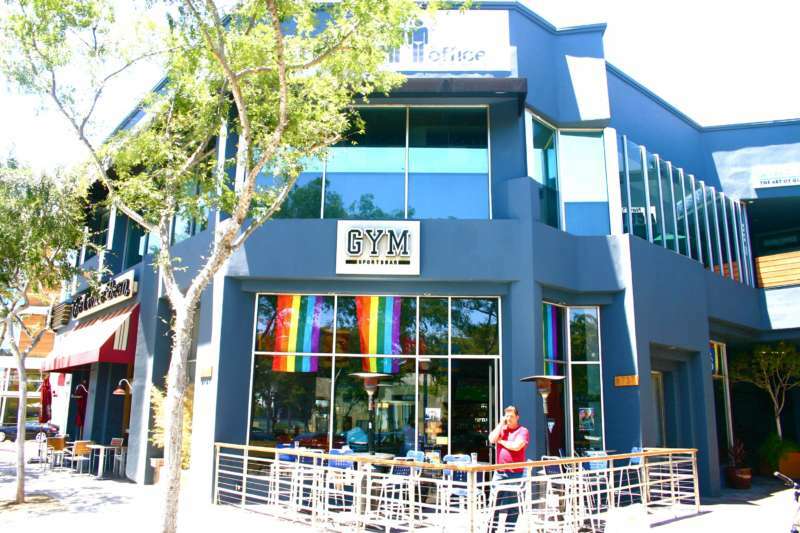 Here, we round up our favorite gay sports bars in North America. 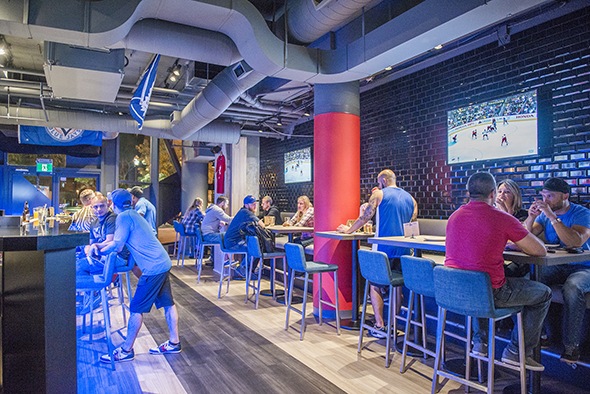 A spacious neighborhood pub and sports bar, Cathedral Station welcomes everyone. The location has a bar area, dining area, pool table, dart boards, as well as an outdoor patio space with free parking in the back. We’re sure the Station will be packed this weekend with Patriots fans watching the big game, so get there early if you’re expecting a seat to watch. 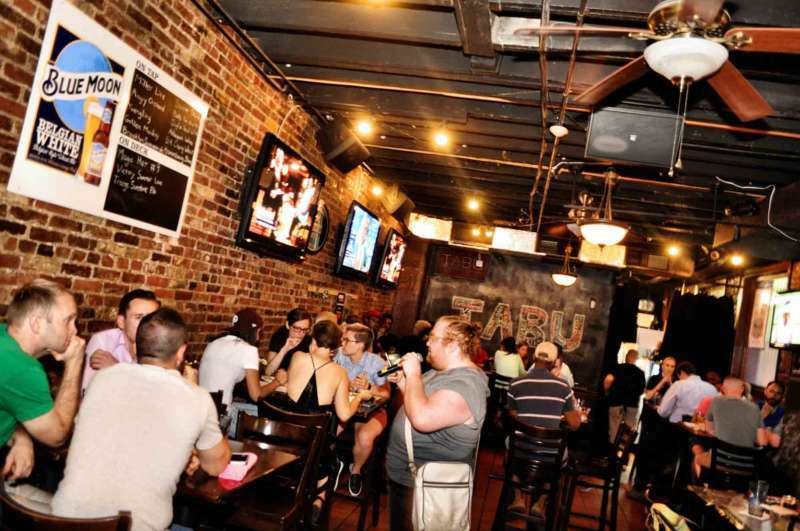 Tabu is one of Philadelphia’s best gay bars, sports centric or otherwise. 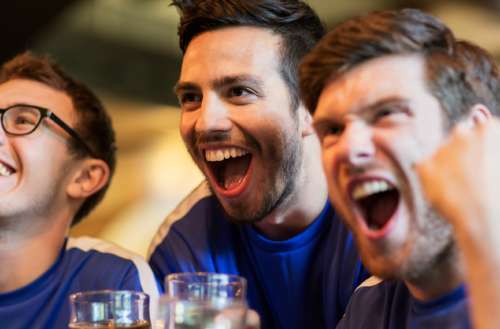 With lots of screens downstairs to watch your favorite team sweat to events upstairs in their lounge that will make you hoot and holler for another reason, there’s something for everyone at Tabu. Come hungry too, their menu is piled high with sports bar favorites like tater tots, hearty salads and massive burgers. If you want to catch some hot trade going commando in just gym shorts, than Boxers is your spot. 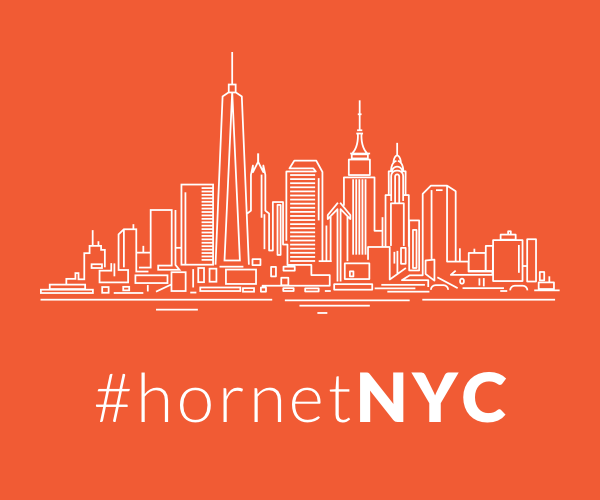 With four locations in two cities and a fifth one on the way, our favorite outpost is their Hell’s Kitchen location. They also have the best rooftop terrace at a gay bar in that neighborhood, so if it’s nice out, take your pint on the terrace at half time and enjoy some sun. 4. Nellie’s Sports Bar – Washington, D.C.
With games on the television, drag events (bingo and brunch), poker nights and karaoke, there’s something for everyone at Nellie’s in Washington, D.C. A trailblazer, both for the gay-sports-bar concept and for revitalizing the U Street area, Nellie’s has three bars across two floors and a rooftop deck. 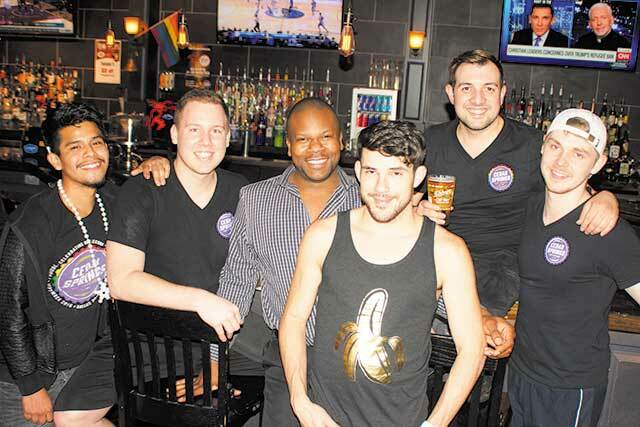 With additional locations in New York and West Hollywood, GYM Bar has become a national gay sports bar staple. Their cheap eats paired with a clean and masculine ambiance is the perfect spot for a Sunday Funday with your boys. For a fun happy hour, casual Castro saloon Hi Tops is the place to be. (You can also cheer on your favorite sports team at this joint.) 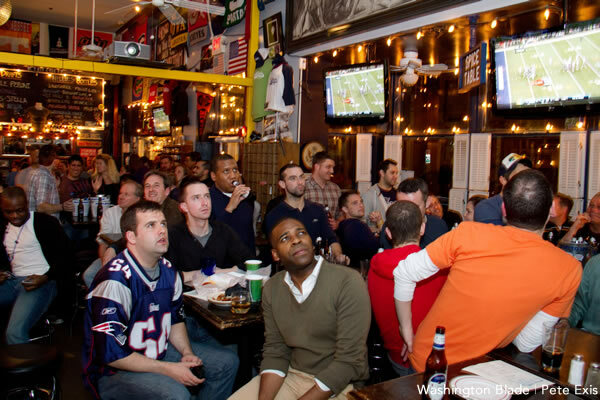 Eater SF ranked it the second-best sports bar in the city, gay or otherwise. Nosh on bacon burgers, fried chicken sandwiches, corn dogs and homemade warm pretzels. 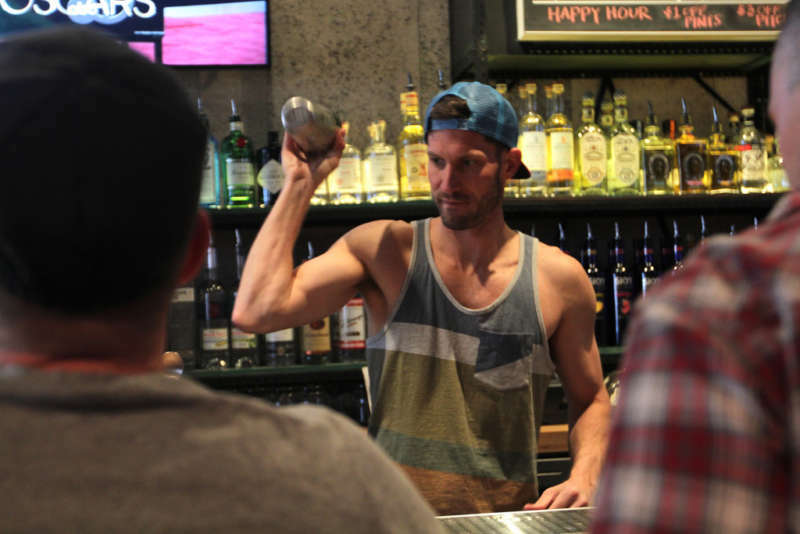 Jockstrap-wearing bar babes sling free whiskey shots on Thursdays. 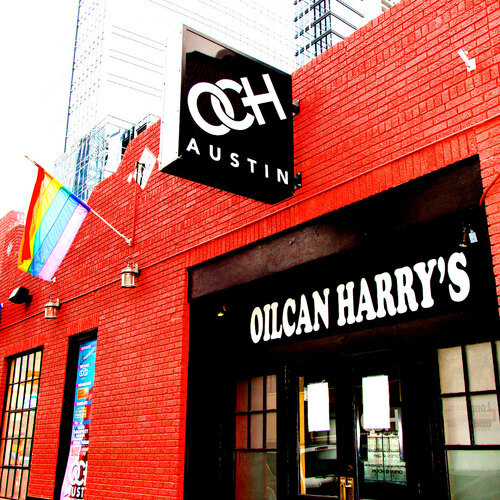 Attached to the huge OCH, Score is the only gay sports bar in Austin. A spot with not only friendly staff and a busy crowd, but also strong drinks priced real cheap. If you’re visiting, it’s easily accessible by foot from any of the downtown hotels. This dive leaves much to the imagination. 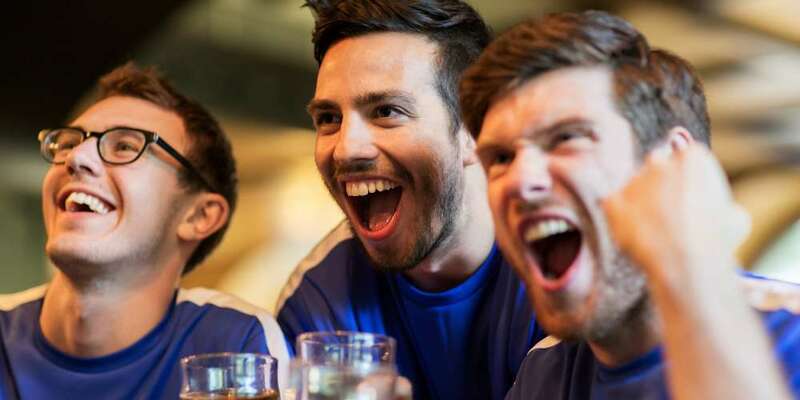 But with cheap drinks, Drag Race viewing parties, good music playing and whatever game you want on the television, Strikers gives you exactly what you need to enjoy your game with your best buds. Also, the drinks are strong and cheap. With a large outdoor seating area, Cedar Springs Tap House is loved by locals and visitors alike. Their extensive draft list would quench the thirst of any beer aficionado. But their food is also phenomenal. Known for their massive burgers piled high with toppings galore, you’ll leave fully satisfied. 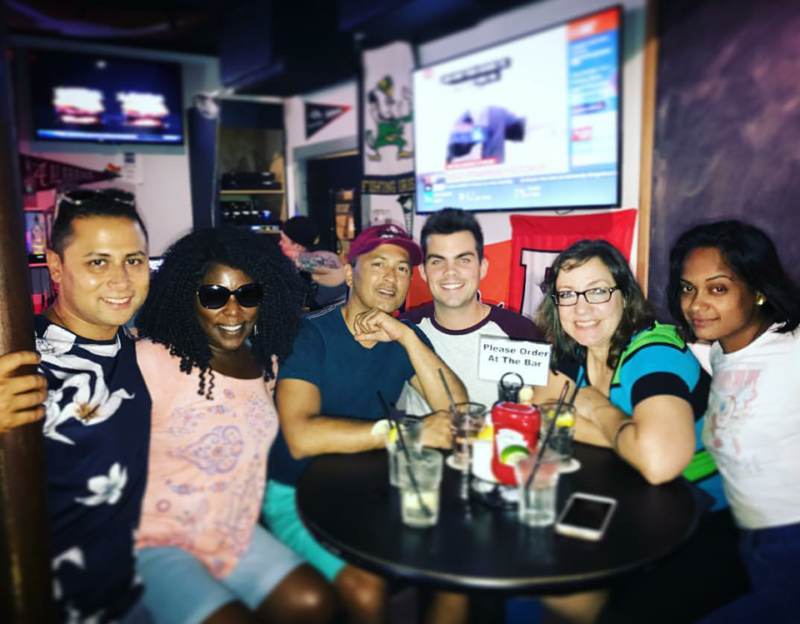 Gym Bar is a quaint sports bar for someone who is looking to get “turnt” in a mellow manner, have conversations where you can hear people and cheer on the game or catch up on Drag Race realness. Pitchers of beer are the deal to get for sure. No pool table, but they do have darts. In a city where everyone drives, parking is the cheapest on the block and sometimes early in the week, you can even find some street parking.